It’s OK to kill our (human) enemies, but we dare not name them. On the other hand, we have no compunction about conducting war against all sorts of things that aren’t enemies: Terrorism is a tactic used by our aforementioned unnamed enemy, but terrorism itself is not an enemy. 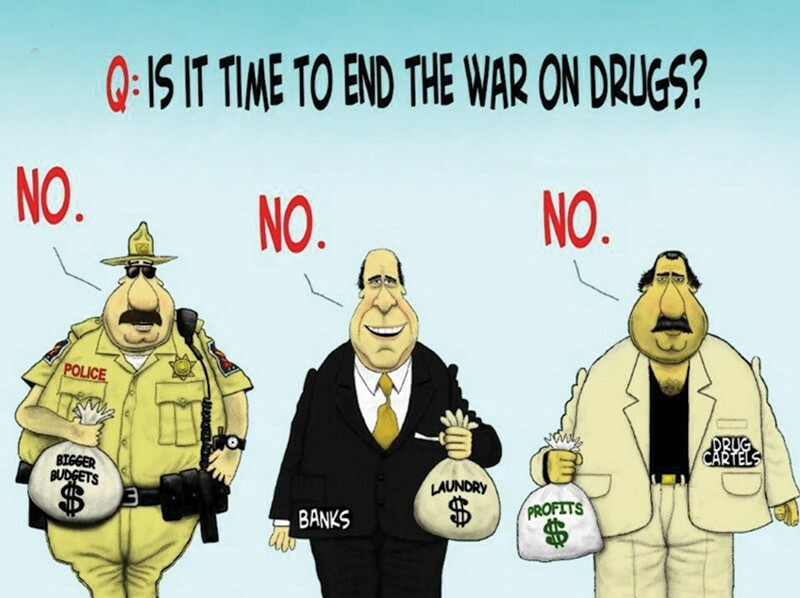 Drugs are a commodity sold by enemies taking advantage of the risk/reward conditions our drug laws create, but drugs themselves are not an enemy. Poverty is a condition often perpetuated by people who refuse to accept that they are responsible for the choices they make. Poverty is not an enemy, but the “War on Poverty” often treats the most productive among us as foes. The “Occupy Wall Street” types who made a stink a few years ago railing against capitalism were often seen wearing name-brand clothing, drinking coffee from famous-brand cafes, and calling and texting each other on smart phones. How can one accept an anti-capitalist argument from spokes-dudes wading up to their necks in the products, goods, and services created at the hands of some of our most effective capitalists? Scientifically speaking, anything with a carbon molecule is organic. Virtually all of the food items we eat, with the exception of water, salt, and trace minerals, are organic in the most factual sense possible: they contain carbon atoms and molecules in the structures of carbohydrates and proteins. The idea that a vegetable or box of cookies or a can of soda might not be legally “organic” when they are factually “organic” is a semantic absurdity fostered by the pipsqueaks of panic. Ditto for “genetically modified organisms” (GMOs). Virtually every domesticated food plant and animal produced and consumed today is a result of genetic modification that has been going on since the dawn of agriculture. Here again, the pipsqueaks are pandering to fear. It makes no difference to your body if a tomato or grape or a chicken was modified over many generations in the field or one generation in a test tube. You are going to eat the stuff, draw energy from it, and eliminate it, not blend it into your genetic code. Eating “Franken-food” will not cause you to turn into a shambling mutant! I am reliably informed that airline pilots for most of the big domestic airlines (American, United, Delta) are paid by the hour, from the time the jet is pushed back from the gate at the departure airport until the door is opened at the arrival airport. Is it not absurd to incentivize your highest-paid hourly employees to NOT be efficient in an industry with such low profit margins that attention to efficiency is essential for financial success? The concept of “white privilege” has been instigated as a way to induce guilt in white people for (supposedly) causing, or at least not having to suffer, the woes (real or imagined) of every other demographic. It is a racist concept, and it absurd. It is racist because it attributes advantage to whites solely on the basis of their skin color. It ignores the fact that there are many non-white people who attain as many, or more, rewards and advantages in their lives than most whites. It is absurd when applied to Americans because all of us in the US enjoy far more “privilege” (in the form of better living conditions, more freedom, and more opportunities for some, and sadly, also in the form of government handouts for others) than most people in most countries around the world. The constant stream of immigrants pouring into this country (legally and illegally) aren’t coming here seeking to be oppressed by the man! We are supposed to take it for granted that income inequality is a bad thing and accept all kinds of wealth redistribution schemes to help resolve it. There is never any allowance for the possibility that income inequality might be a direct result of ingenuity inequality or effort inequality. That would mean that people are responsible for their own achievements (or lack thereof). We can’t have that – it would be absurd!